Professor Alan Booth introduces the site and the purposes of ‘Historians on Teaching’ as a practical resource for lecturers, history departments and the discipline community as a whole. The site has its origins in the History Passion Project which was led by Alan Booth as part of the ‘Graduates with Impact’ initiative from the UK Higher Education Academy Subject Centre for History 2010-12. 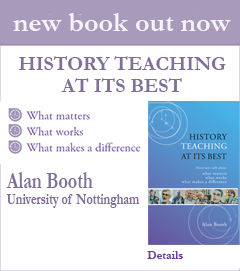 This clip is one of a series from the website which is curated by Alan Booth and Jeanne Booth to support university history teaching and effective student learning.